September | 2011 | NICE! 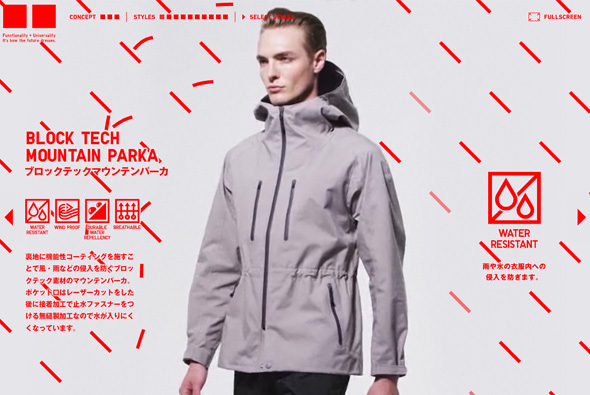 Yet again another fun and fresh site for Uniqlo. 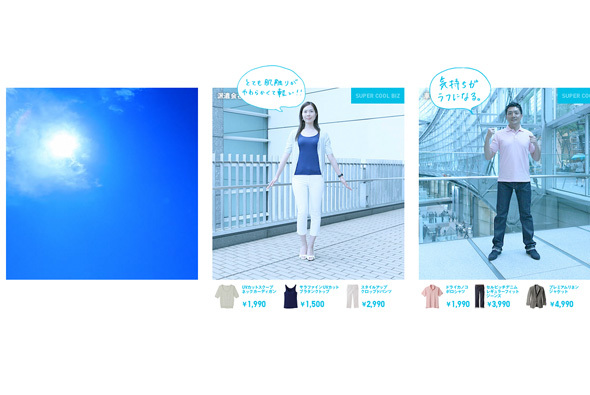 The site encourages people to dress ‘cool’ in Japan’s hot summer and to save on electricity by using air con. Featuring office workers switching their suits to cooler lightweight Uniqlo products – all featured with price – smart and relevant to the current power crisis in Japan. Again, I love the scrolling slideshow effect of the people, when you interact with the thumbnails the people even rotate with the position of your mouse. 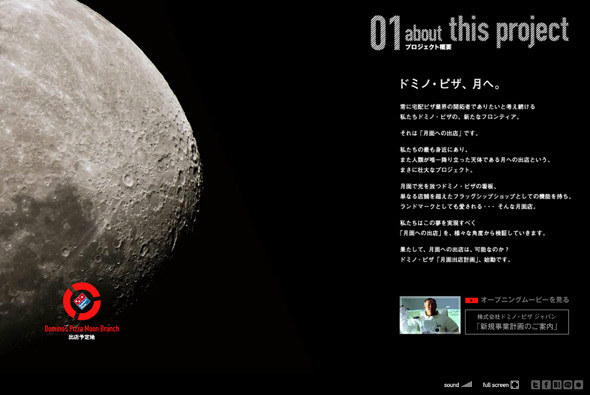 Set in time to the music and really fun to interact with, I love the way the thumbnail moves around with your mouse, the music, the animation and transitions, another great site for Uniqlo. 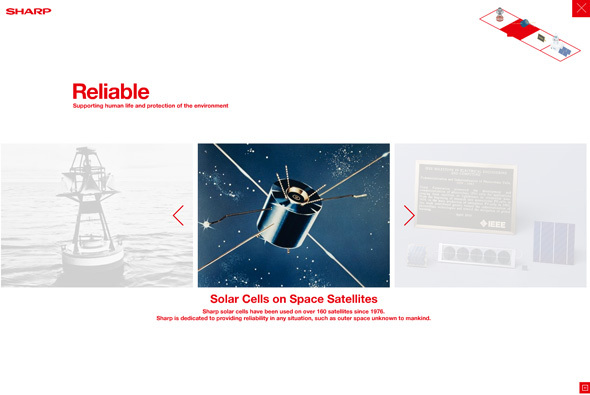 Created by Dentsu, & spfdesign Inc.
Website to celebrate Sharp’s centennial anniversary in 2012. 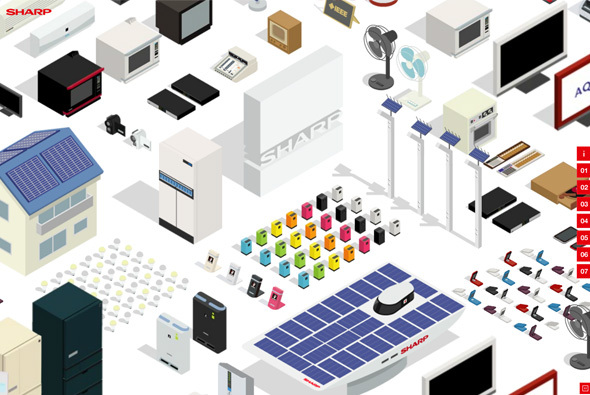 Featuring their innovations since their inception in 1912, through a cute animated scrolling scene of their products. Click on an item and a nice slideshow of similar products and a bit of history. Set to a catchy tune and smooth animation, wrapped up in a minimal look and feel it gives the brand quite a bit of character. Simple, fun and looks good – very nice. 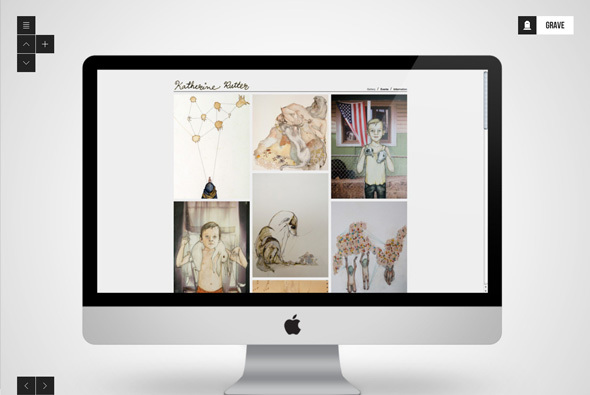 Stylish portfolio of Keith Driesson. 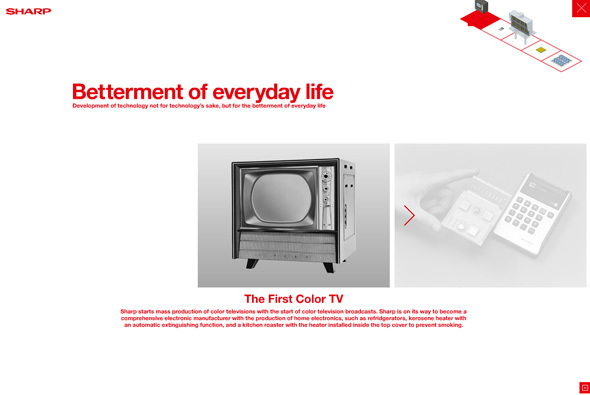 Very nice HTML & jQuery site with incredibly slick transitions and full screen images, very minimal but the animation brings it all to life. 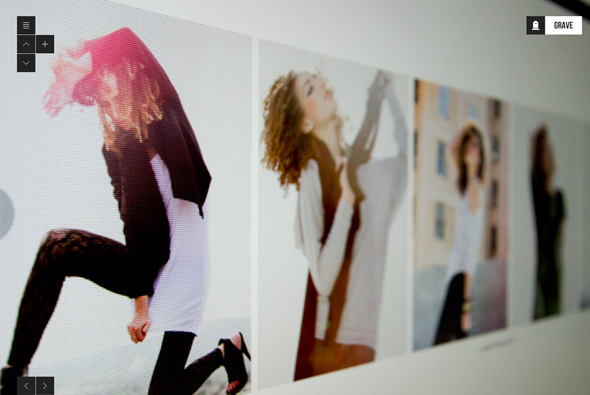 It works nicely and he knows how to present his work well, a clean and stylish modern portfolio. 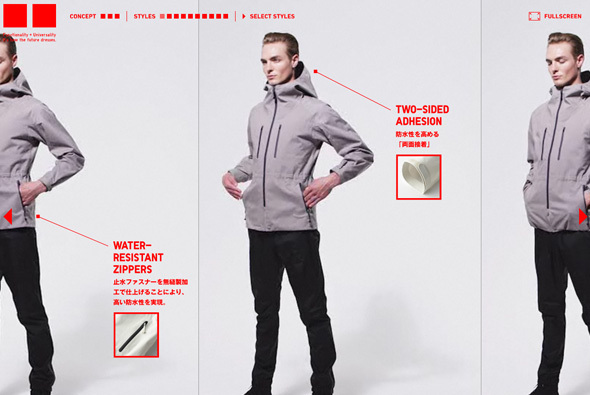 Yet another cool Uniqlo site promoting their new range of technical outerwear. Featuring videos of people walking and wearing the items demonstrating their key features through animated rain for example, all done in a fun and stylish way. Love the scrolling gallery of features for the particular item – very well thought out. As usual high quality Flash production with a touch of fun and style. 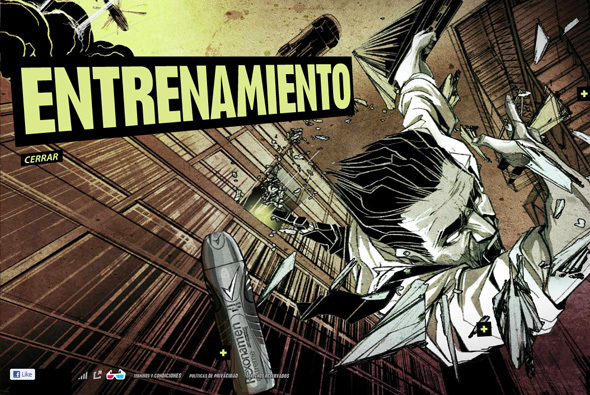 Mexican site promoting Rexona and it’s range of deoderants for men. 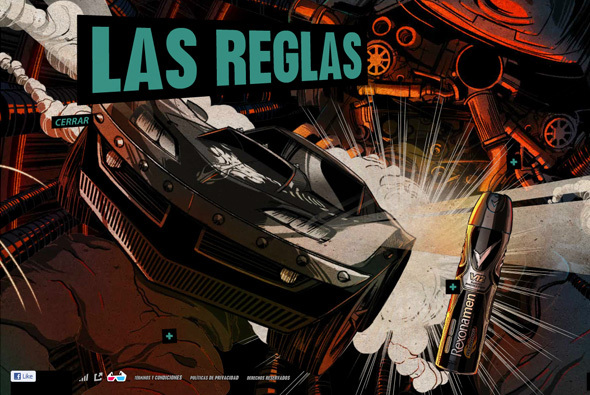 With each product featuring a 3d scene personifying that product – really cool 3d parallax – with an option to see it with 3d glasses too. Not much more than that – but the effect is really great and the rest of the animation, transitions and so on are spot on very nicely made. 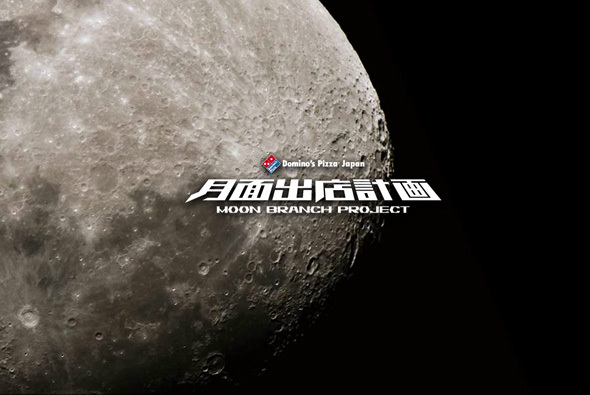 Strange project for Domino’s Japan – to place a Domino’s branch on the moon. 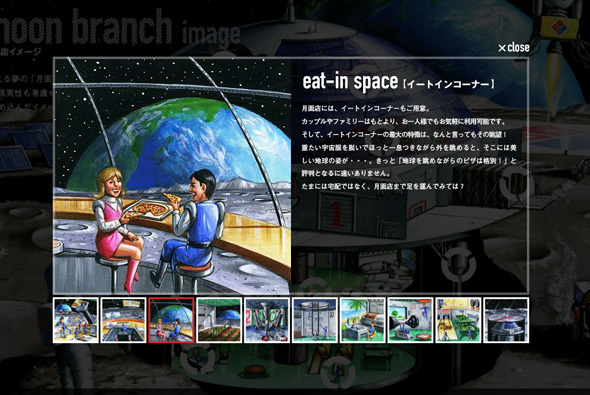 Very tongue in cheek – nicely made site complete with look and feel & ambience as if from a space station. Not sure what it is all about but the site is fun and promises more content soon. 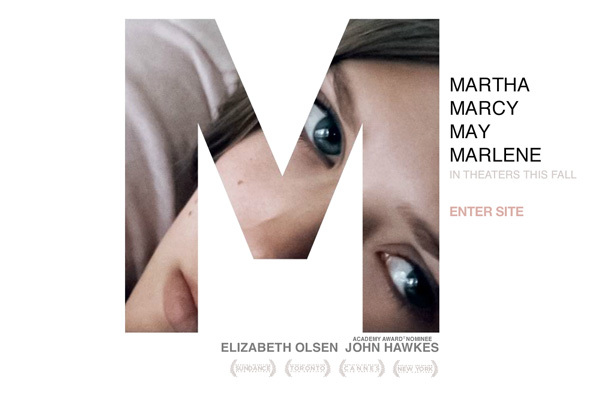 The official site for Fox Searchlight’s new film Martha Marcy May Marlene. Finally a recent film release that has an experiential site – sounds, 3d planes, strange video – all nicely put together to create a fun to explore site. 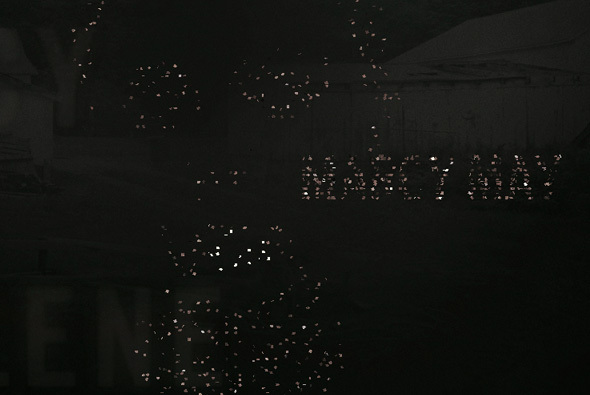 A portrait of the main character is exploded into 3d images which merge together to create words and video clips from the film. Well made and imagined, I really like the way videos are presented and the way the 3d images move around to create words – really nice.